The Child Development Center: This is a weekday, preschool ministry. Living Hope: This is a ministry designed to aid in the recovery of the sexually broken. 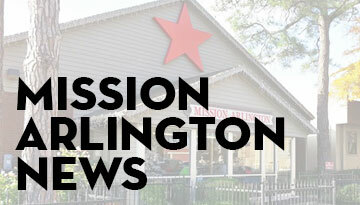 Mission Arlington: A ministry of FBC built to help with physical and spiritual needs of people throughout our community. Restore Hope: Formerly Global Connection Partnership Network: This is a network designed to aid local churches in mission and missionary sending efforts. Christian Women’s Job Corp: This group takes classes of women through training and preparation to aid them in job skills and employment. Christian Men’s Job Corp: This group takes classes of men through training and preparation to aid them in job skills and employment.